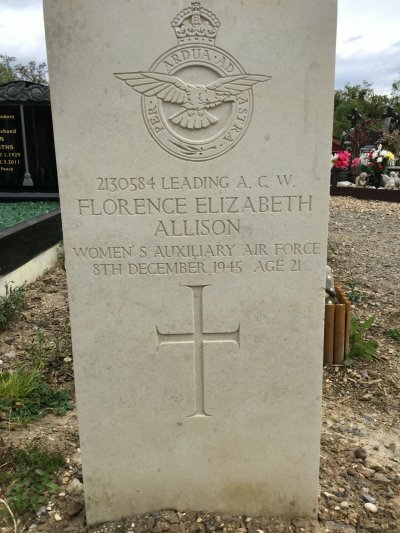 Leading Aircraftwoman 2130584 Florence Elizabeth Allison, WAAF. Leading Aircraftwoman 2130584. Women's Auxiliary Air Force. 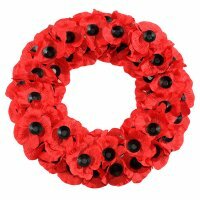 Died: Saturday 8th December 1945, aged 21. How Died: By her own hand at RAF Lynham, Wiltshire. A true casualty of war. Florence is pictured above on the far left of the bottom row. Family Information: Florence was the youngest daughter of William Arthur Allison (1879-1946) and Olive Allison (1891-1980) (nee Hough) of Hornsey, Middlesex. She was younger sister to Olive Vera, Lily Dorothy Winifred, William Charles, Victor Arthur, Thomas, and Edna M. Allison. At the time of her death her parents were living at 'Midway' in Arrington. Her father died there a year later on the 16 December 1946. 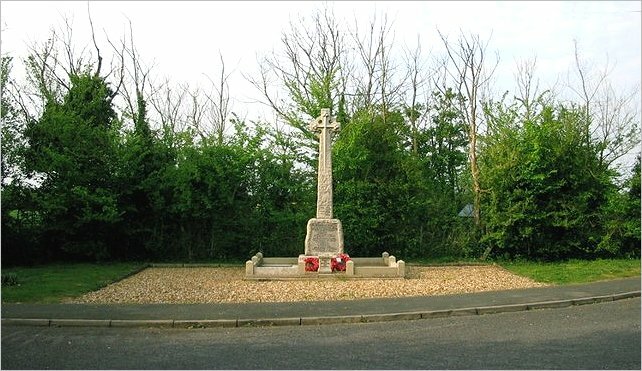 LACW Florence Elizabeth Allison is buried in an unmarked grave [but see the April 2017 update below] at New Southgate Cemetery (Brunswick Park) in North London and commemorated on the 'Cross of Sacrifice' Memorial (below) situated in front of the chapel. The wording reads "These Members of His Majesties Forces Died in the Service of their Country and Lie Buried in this Cemetery". "I visit the New Southgate Cemetery frequently where my father in law is buried, and recently a grave has been created there. 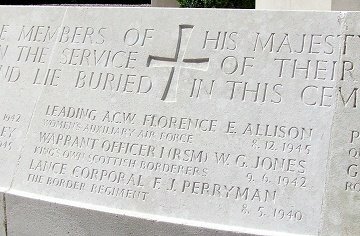 I was intrigued as it is a CWGC [Commonwealth War Grave Commission] grave amongst the recent burial areas, so I took a photo and researched it. I hope this photo of the grave may be of interest, the area is well kept." New Southgate Cemetery is in the extreme south of Hertfordshire. It contains 109 Commonwealth burials from the 1914-1918 war, scattered throughout the cemetery, 51 German burials from Alexander Palace Internment camp, and two Belgian soldiers. There are also 86 Commonwealth burials from the 1939-45 war. 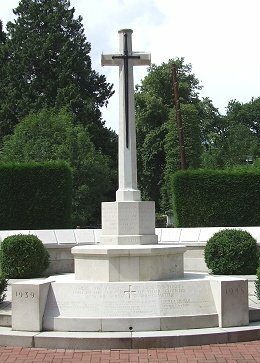 The Cross of Sacrifice is erected in front of the Chapel, and behind the Cross is a screen wall bearing the names of those of the 1914-1918 war whose graves could not be marked by headstones. Those from the 1939-1945 whose graves could not be marked are named on a Kerb Wall affixed to the Cross of Sacrifice. Florence Elizabeth Allison for this page.